In the midst of 1500 entrepreneurs, from 150 countries you’re bound to have a great time, meet amazing people, learn a lot, contribute to the needs of others and make lasting connections. 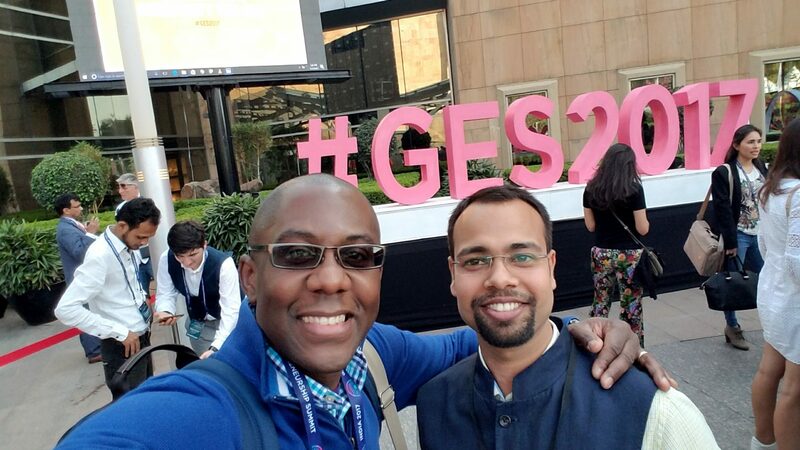 This is what it was like at the Global Entrepreneurship Summit (https://www.ges2017.org/ ) which took place in Hyderabad, India from 27 - 29 November 2017. 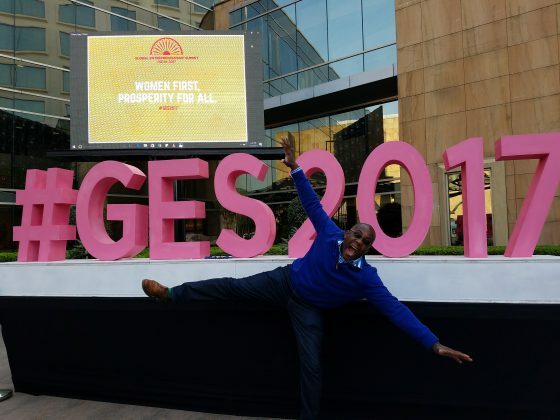 Founded by the Obama Administration 2010, GES is an annual event bringing together entrepreneurs from around the world. 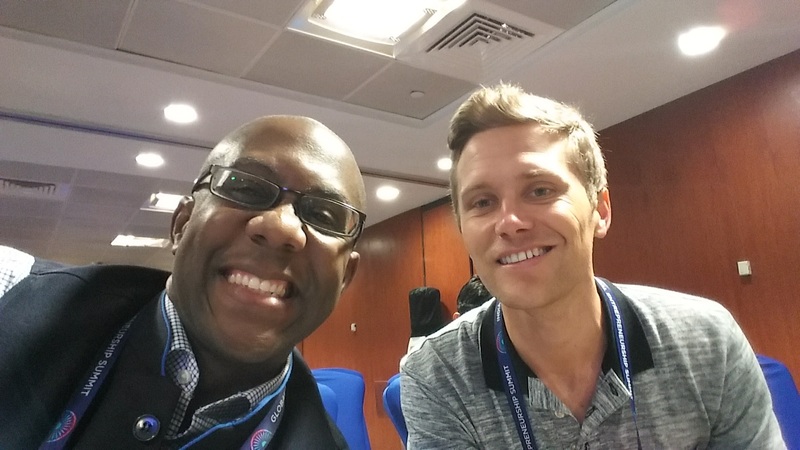 These entrepreneurs connect with each other, investors, other partners. This year, the 8th GES was co-hosted by the governments of India and the USA in Hyderabad. Here are a few highlights and takeaways. I asked many of the entrepreneurs I met, what was their biggest challenge, and they all shared the same thing. Some needed money to scale - to buy products to fill a demand. Others were a bit newer in business and were just looking to get their first customers and revenue. Other entrepreneurs had amazingly innovative ideas and were in the phase of looking to change government regulation in one way or another before their ideas could be turned into a business. 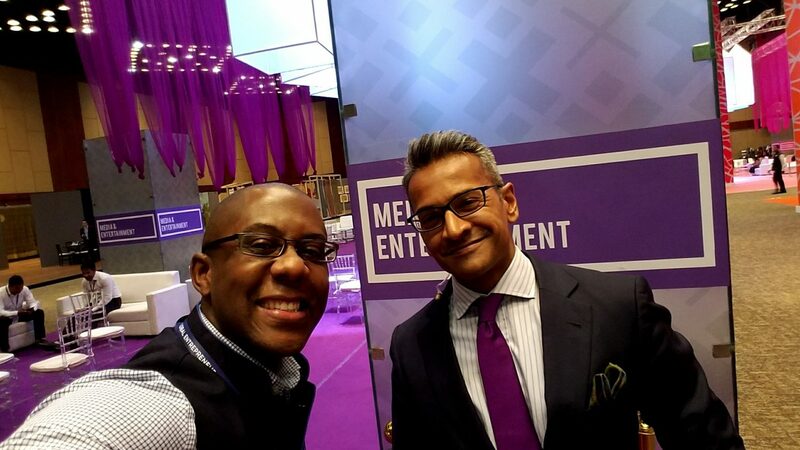 Throughout the conference, the words hustle, grit and innovation rang through the halls. The differences amongst entrepreneurs is that some have better opportunities due to the infrastructure of support by governments, not for profit institutions, private investors and universities. You can see what I shared about this with Entrepreneur.com India here. Entrepreneurs Are Hungry for Mentors and Constantly Learning. 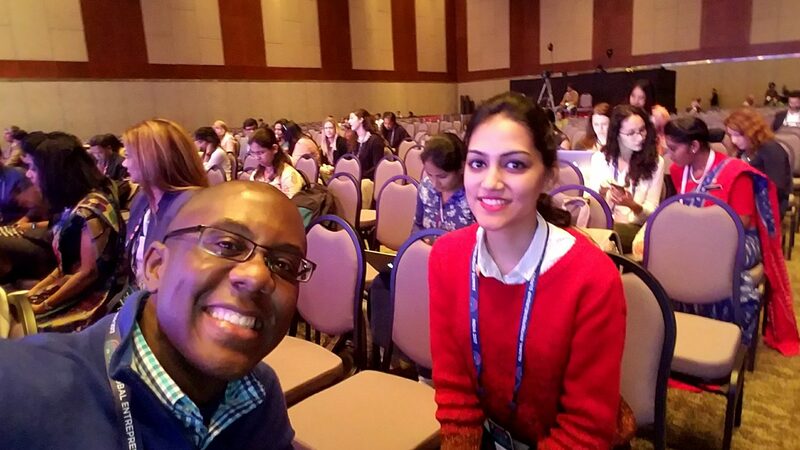 Each day of GES consisted of plenary discussions and breakouts with speakers who gave their all to ensure the attendees, mostly entrepreneurs listing to them, did not make the same mistakes they did. 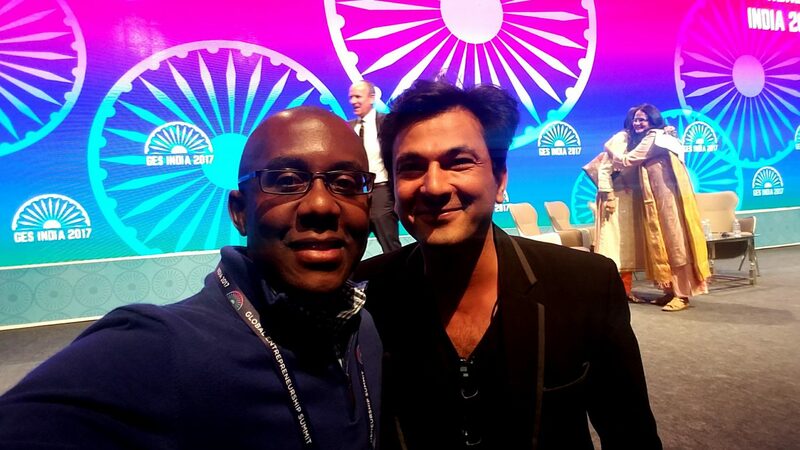 One of the most memorable sessions I attended was with Chef Vikas Khanna, a 5 star Michelin Chef and author. He, joined by fellow panelists, spoke on the importance of passion and discipline. They shared about not giving up. Chef Khanna expressed the many, many, many failures he went through, but he just kept on learning, innovating and being persistent. When he first started out he would give away his meals. “Today” he can sell a meal for $30,000. The panels at GES consisted of inspirational discussions, such as the one I just referenced. Others that were more tactical - about funding or etc. Then other sessions that were educational such as how to build an ecosystem for entrepreneurship. Just about EVERY entrepreneur I spoke to was in business to solve a problem that was birthed out of their own personal life experience. 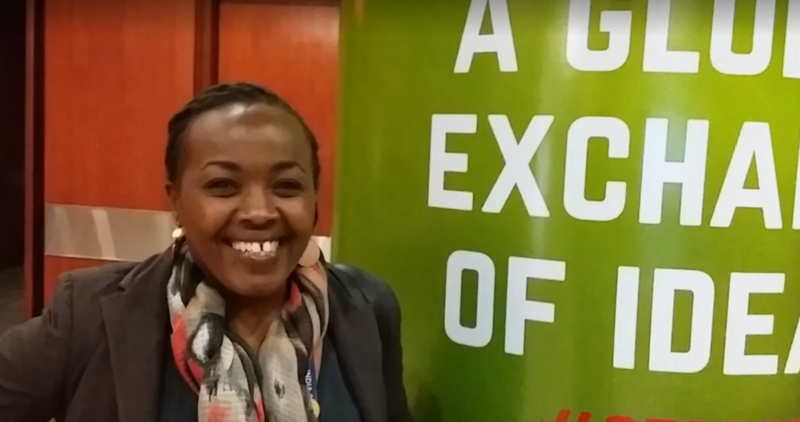 I spoke to several ladies from African nations who were working on solutions to manage waste, increase crop production and other “basic life” needs. I spoke to a lady from India who spoke with me about her “car recycling” service. She said that in India there are many old cars on the road that are polluting the air. When these cars can no longer drive, how they’re are junked is another source of pollution. Her solution aims to solve this. She’s pictured below. Many of the entrepreneurs, including the “car recycle” lady above have BIG, BIG ideas. I met Josh, pictured below, who is creating a brand new AIRLINE, Zephyr Airlines. He’s focused on offering flights of around 6 hours or more where every passenger has a sleeping pod and it’s an affordable flight. Indeed, while many of the attending media were simply interested in covering Ivanka Trump’s visit to GES, many media were there interviewing entrepreneurs and capturing their stories. It was heartening to see hundreds of entrepreneurs from around the world who came to Hyderabad funded in large part by the US Government - US taxpayers. As an American, I only think of the State Department, which was the lead agency for this event, when I think of global problems, peace talks between countries or the United Nations. But speaking with entrepreneurs who said over and over again that they were referred by their local embassy or heard about it from US Aid or another local program in their country, funded by the US Government, was a witness to the global reach and assistance of America. Lasting Friendships - Globally and Locally. 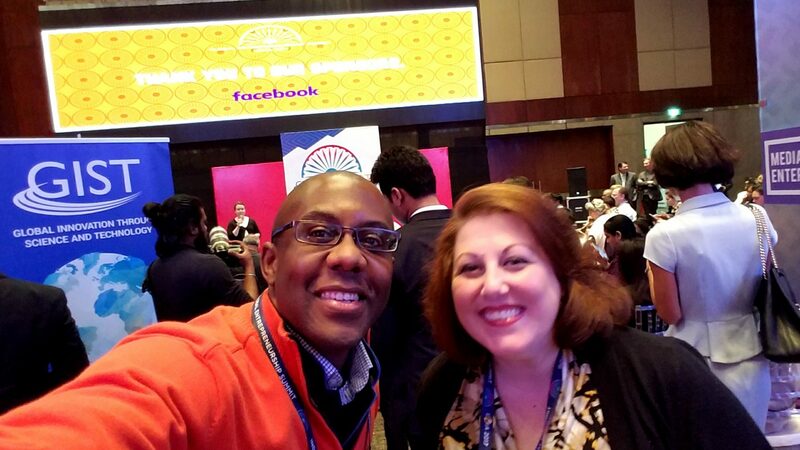 Overall the experience was an epic time to expand my network and make lasting friendships with entrepreneurs from around the world. 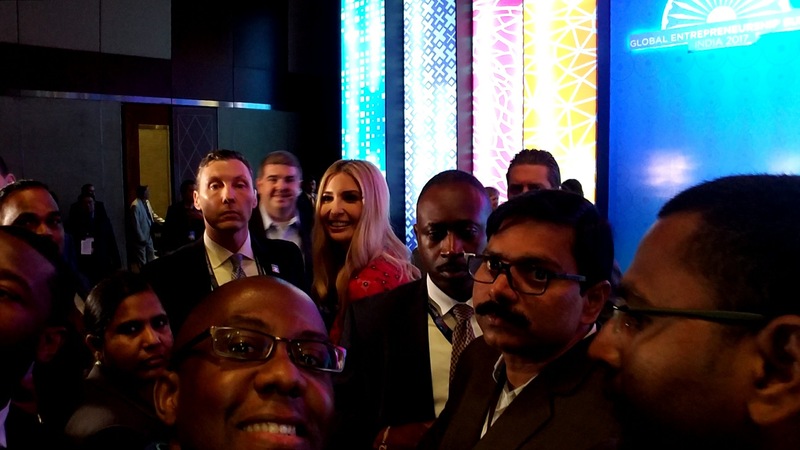 As Ivanka Trump was leaving the stage, I asked her if we could take a selfie! She said sure and walked over closer towards me for my selfie! 🙂 - this was not a group photo - the people around me are all security officers from US and India.